This summer was quite busy for your ITE Western District Board! Following our own great Annual Meeting in San Diego this past June, six Board members and several Committee Chairs attended the ITE International Annual Meeting that took over 1,300 attendees to Toronto, Canada. This year, the ITE International Annual Meeting continued the format inaugurated in Anaheim last year, with TransportationCamp, a First-Timers Reception, and an ITE Game Night that featured the second ITE International MiteY Race and the CITE street hockey game. For those of you on Facebook, be sure to check out Zaki Mustafa’s photos. Special thanks go out to Neelam Dorman and Cathy Leong for planning the first truly international MiteY Race, this time highlighting downtown Toronto, and also to Kimberly Leung, Tom Mericle, Walter Okitsu, and Krista Purser for running the tasks at each MiteY Race pit stop. 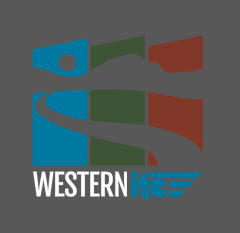 The Western District was recognized many times over by ITE International at the Excellence in Transportation Awards Ceremony. Pat Noyes was honored with the Theodore M. Matson Memorial Award, one of the highest given by the Institute, for her outstanding contributions to our profession. The City of Bellevue, WA received ITE’s 2017 Transportation Achievement Award for Safety for their Video Analytics Towards Vision Zero Partnership project. Bellevue was also a recipient last year in the Operations category. Washington State DOT received ITE’s 2017 Transportation Achievement Award for Design for their State Route 520 Floating Bridge and Landings project. The 2017 ITE Coordinating Council Best Project Award was Recommended Design Guidelines to Accommodate Pedestrians and Bicycles at Interchanges, authored by Meghan Mitman and Matthew Ridgway. The Traffic Engineering Technical Council Achievement Award was presented to the City of Peoria, AZ for their Video Archive project. Faisal Saleem received the Transportation Systems Management and Operations Council Individual Achievement Award. California Polytechnic State University, San Luis Obispo reclaimed their Collegiate Traffic Bowl title (the first two time champion!) and also received the 2017 Student Chapter Award (their third in the past four years). Two Oregon State students, Jason Anderson and Shangjia Dong, won first place in the 2017 FHWA Highway Safety Information Systems (HSIS) Excellence in Highway Safety Data Awards Program. Alyssa Rodriguez was recognized for concluding her term on the International Board of Direction, and Kimberly Leung was recognized as the 2017 Rising Star from the Western District. Megan Mitman (Complete Streets Council) and Dalene Whitlock (Transportation Forensics and Risk Management Council) were recognized for finishing their terms as Council Chairs. And two of our members graduated from the Leadership ITE Class of 2017, Scott Lee and Yao-Jan Wu. This was the first joint Annual Meeting of ITE International and a District in the “New ITE” era, and leaders from several Districts were in attendance, taking notes and discussing ways to implement joint meetings in future years. The Western District is looking forward to hosting a joint Annual Meeting in 2021 in Portland! Over the next year I will share with you the progress the Western District Board achieves on our initiatives. We will continue working on student programs, developing new initiatives to support our young professionals, and exploring new ways to attract and retain members. I look forward to a year of engagement, working with our Board, and reaching out to our local Sections and Chapters across the District!